New this fall! Kennel tours! If you are interested in a kennel tour and a dog sled ride, please send an email to Kate@runbydogs.com to reserve your time! $40 for a 30 minute kennel tour of our sled dogs home! Pet each of the dogs, check out gear, cuddle, and ask any questions about what a sledding kennel is all about! All tours must be reserved ahead of time. This does not include sled rides. Wear clothes for outdoor weather, and clothes you don’t mind getting muddy! Take a one-hour long excursion in one of our toboggan sleds! We have a smaller sled designed for one adult or two or three children to ride in. Or take a ride in our larger sled that can hold two adults. Excursions are different this year! Come enjoy our new property with 102 acres of woods and fields. It is a very private, remote property with stunning views of Sharon Springs and the surrounding hills. This season is an interesting season for our sled dogs. Half of our team is retiring from active pulling, but still need to run, pull lighter weight, and stay conditioned. We have had an overwhelming amount of requests for sled rides this season, so the best we can do is have guests come along on a practice/ conditioning run! Go along for a ride on the back of a snow machine or 4 wheeler as the dogs pull you. This is how sled teams in Alaska condition rather than on traditional sleds. It isn’t as organic as we have provided guests with excursions, but still absolutely amazing to watch them work. 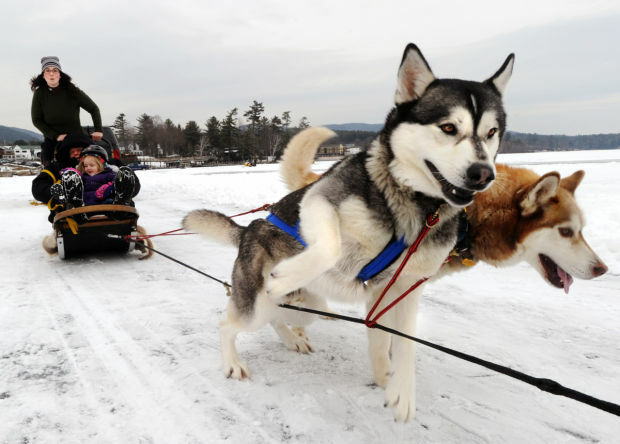 This is the Capital Region’s, Mohawk Valley and Southern Adirondack’s ONLY dog sled ride! 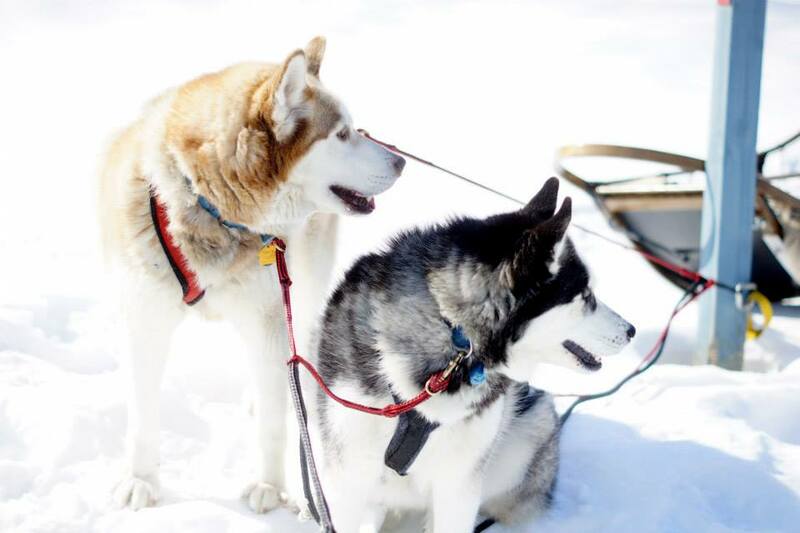 Our excursions have a 1 rider with musher spot at a time. Guest will ride on front or back of 4 wheeler or snow machine while sled dogs pull. 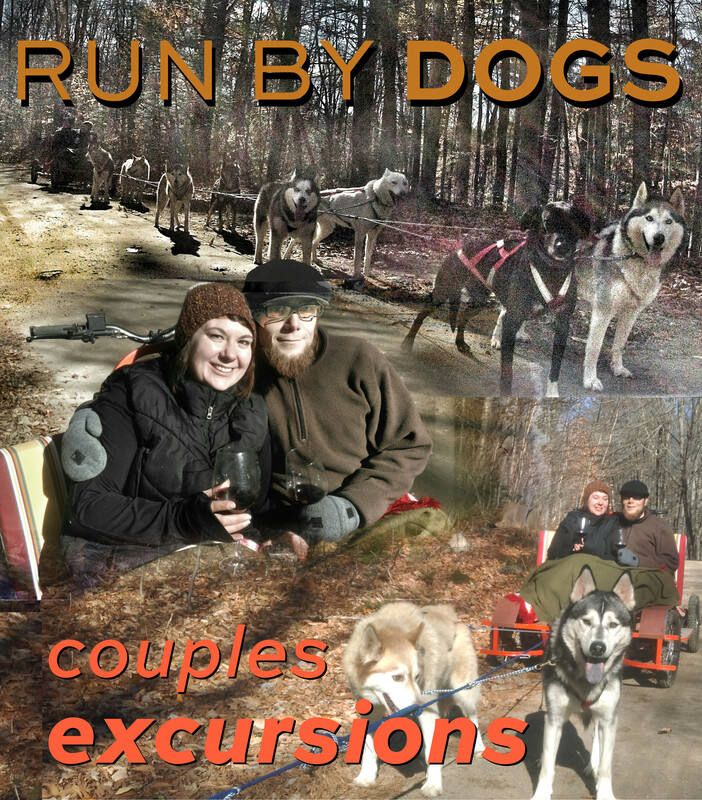 Couples run: For couples or multiple children- only 1 rider at a time, the waiting rider will have individual education with another musher while waiting for their ride, then we switch riders so everyone has equal ride time! Reservations are required. Walk in appts will not be considered due to scheduling. Guests are not permitted in kennel area without musher or employee in attendance for safety. The following is not available 2018-2019 season. If the distance is over 60 minutes drive from our kennel, extra charge of .55 gas/ mile will be charged. We also offer abbreviated outings for larger parties. All excursions require full payment or a 50% deposit to secure your booking. Excursions are paid in full the day of your ride. Cancellations less than 7 days prior to your excursion result in a 50% charge. No shows are 100% charged. Arrive at your scheduled time. We cannot accommodate early arrivals or late arrivals. Please keep your own dogs at home or secure in your car. 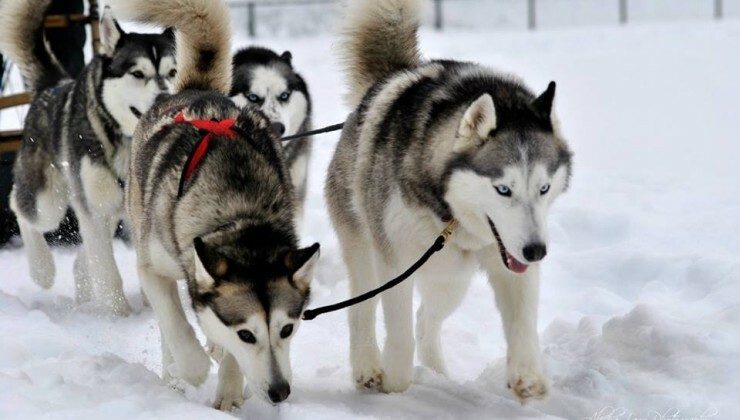 Sled dogs can become very excited and anxious with personal dogs around them when they are working. Dress for the weather! If we do not believe you are adequately dressed for your excursion, we will not take you for the ride and will not refund. Please bring a camera, you will definitely want to take pictures! For more information, read our FAQ page: Frequently Asked Questions. Sign up for dog training through the online portal. 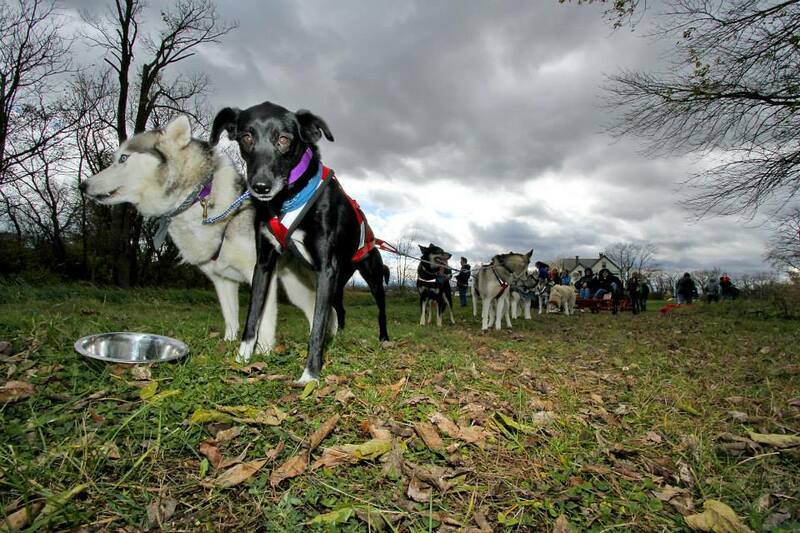 Schedule dogsledding / wheel runs and kennel tours. Schedule by email to request availability for events.